Posted by Ch3vr0n on RedFox forum. Slysoft were for a long time untouchable. But IMO dwindling income due to users increasingly streaming etc. The money man had enough. Hence the collapse of Slysoft. Hail the rise of RedFox. Truth is no-one really knows. 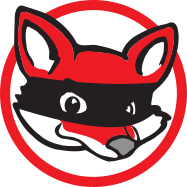 However, RedFox sums appear to be a mistake. That is if it is going to last any worthwhile time. should I download the new version or stick with the last one? Decrypters are often the most important part of a arsenal for backing up DVD's & Blu-ray's. DVDFab have others that are more comprehensive, at a cost. The update is free for all registered customers, of course. - New: CloneBD is now supported by AnyDVD's unique Cinavia fix.